The life of a Steven Universe fan is one punctuated by moments of great fun when the show is actually on, followed by huge periods of sadness while waiting for it to return (as is the case right now, since the last episode aired in January). 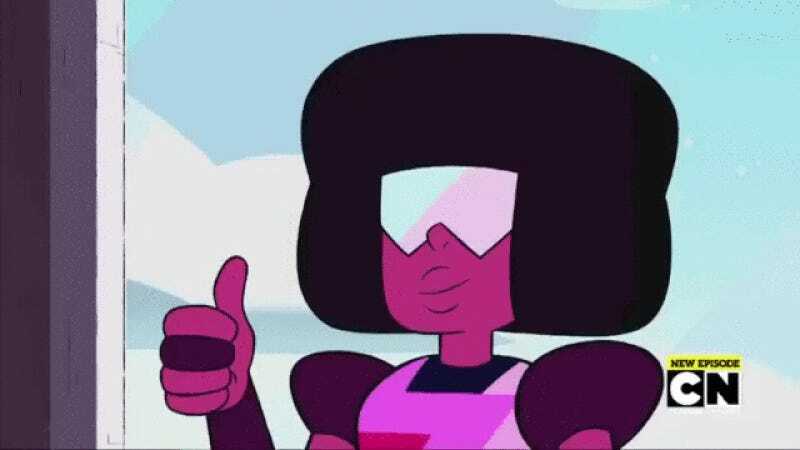 But now we know when Steven and the Crystal Gems are coming back, and it’s not the only good news! The other good news? The show is sticking around for the foreseeable future, as Cartoon Network announced that the series has been renewed for both a fourth and fifth season (its return in June will be for its third season). So there’s a lot more adventures to be had with Steven and the Crystal Gems. Hooray!